Square Enix's 'Gravel': An off-roadin' simulatin'...racer? Square Enix’s ‘Gravel’: An off-roadin’ simulatin’…racer? I’m not much of a racing game fan. In fact, it’s been a while since I’ve played one that doesn’t have “Mario” or “Kart” in the title, so I was willing to give GRAVEL a shot. It’s a combination of off-road courses with arcade racing. 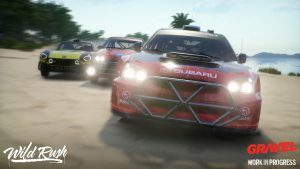 GRAVEL takes you to exotic locations around the world, where you compete in various challenges across over 50 tracks and choose from dozens of vehicles – provided you either obtained them through DLC or leveled up enough to open them. The main premise of GRAVEL is that it follows a player’s journey throughout a new season of a racing TV show on a network called GRAVEL Channel. This is most prevalent in the game’s main single-player mode Off-Road Masters, which is split up into multiple episodes. These episodes consist of multiple mini-challenges in which your goal is to score enough stars so you can progress further in the game and unlock new tracks and cars. In addition, after every few episodes are completed, players have to take on the master of one of the disciplines in a series of one-on-one races. These are real-life racers include Scott Parker, Ryan Carter, James Wantanabe, and Justin Evans. There are four disciplines of GRAVEL: Cross Country, Wild Rush, Speed Cross, and Stadium Circuit. Within each discipline are your typical lap and checkpoint races that’ll have you driving through environments from around the world; time trials to see how fast you can complete a track; elimination races where the driver in the last place is taken out every thirty seconds or so; and Smash-Up where players must bust through check-marked signs on tracks while avoiding ones marked with an X. 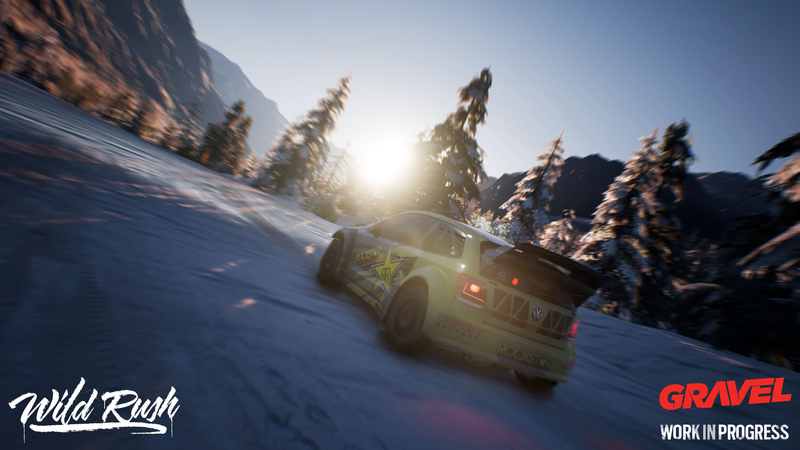 During every race, there is a Show Points system that encourages taking advantage of drifting and reaching high speeds. This enables you to level up your character to unlock cars and various other things. Another feature available is the ability to reverse time if you make a mistake within your race. Similar to Prince of Persia: Sands of Time, this rewind feature is limited to maybe the last 5-10 seconds, but there is no limit as to how many times you can do it during a race, nor is there any punishment for doing so. In essence, GRAVEL has virtually no real challenges since any error you make during a race can be corrected. While GRAVEL looks good and plays well, it suffers from its indecision on whether it wants to be a simulation game or an off-road/arcade-type racer. It’s a good enough looking game and there’s certainly enough customizable content in the way of cars and tracks to race them on. However, it never really grabbed me enough to want to come back to it continuously. GRAVEL is available now for PlayStation®4, Xbox One®, the all-in-one games, and entertainment system, and Windows PC®/STEAM. † Square Enix provided GRAVEL for review purposes.